Including Christmas sales, estimates suggest that around 53 million fitness trackers will have been sold in 2016. It’s a staggering amount and a figure which, as the CEO of a sport and leisure trust and a former athlete, should fill me with joy. After all, how amazing is it that all these people are taking such a proactive approach to their health and fitness? But the reality is, I’m just frustrated. You see, I know what’s coming next – the ‘tracker trolling’. Headlines revealing how quickly people ditch their new-found love of fitness tech in favour of old habits; how trackers don’t record data with pin-point accuracy so why bother; how we’ll have to find another way to improve the nation’s health. Rubbish. Not because they don’t have any factual basis, they do. People do get bored and give up. These devices aren’t state-of-the-art medical instruments. The problem I have is that tracker trolls all tend to make a hasty assumption. That just because a concept isn’t 100% fool-proof, it is fundamentally flawed and therefore has nothing to offer. I’m lucky enough to know that this isn’t true. Why? Because I’ve seen the difference that fitness trackers can make. In 2016 we (Life Leisure) took part in a Sport England funded national programme run by Sporta called Make Your Move. The aim of the programme is for trusts like ours to increase participation in physical activity for at least 40,000 people – specifically those who may normally struggle to access and enjoy sport. The Life Leisure ‘actilife‘ project essentially had two key components. 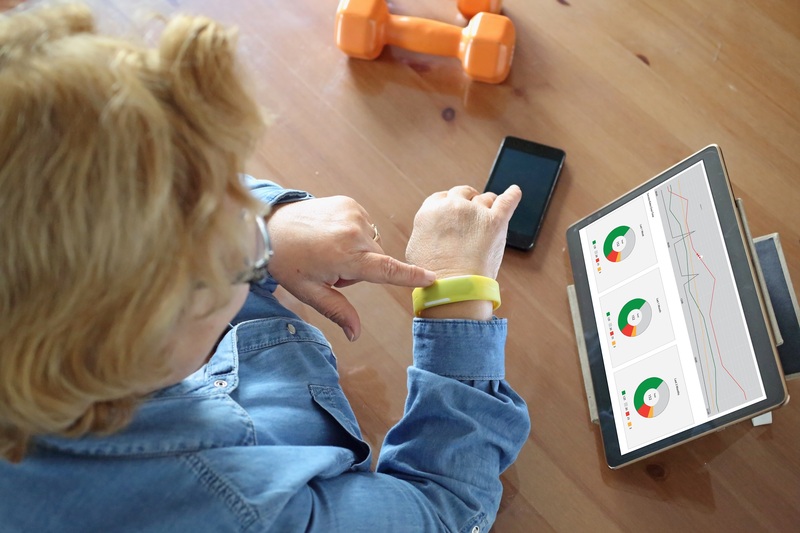 The first was equipping participants with a fitness tracker which logged basic data, such as steps taken, distance covered, activity level/duration and calorie burn etc., on a dedicated web portal. The second was having coaches offer remote wellness advice and support based on each individuals’ data and progress. Over 400 individuals took part in the project, 61% of whom were categorised as completely inactive (do less than 30 mins of activity a week) and therefore statistically more at risk of developing health conditions later in life. The results might shock you. After three months, 85% of those taking part reported an increase in their activity levels – 66% said that they were achieving at least 3 x 30 minutes of moderate physical activity each week. In fact, the results have continued to be so strong that two more leisure trusts in the North West (which by the way is one of the UK’s top region’s for physical inactivity levels) have now adopted the programme to help increase activity levels in their local communities. So why have the results been so positive? In my view there are three main reasons – reasons which most people who like to participate in tracker trolling overlook or fail to consider. Firstly, it is important to remember those taking part in the project weren’t fitness fanatics looking to improve their running speed, train for an event or fit into an outfit – far from it. They were, in effect, people approaching physical activity from an absolute standing start i.e. precisely the people who will get the most benefit out of more regular exercise. Secondly, the participants weren’t ‘going it alone’. A hugely important part of the programme is the remote support and advice offered by physical activity experts, essentially one-on-one coaching – advice you’d normally only get by physically attending a gym. Most reports of ‘fitness tracker failures’ focus on the technology in isolation – as a mechanism designed to improve health entirely by itself. Of course that’s not going to work. But that doesn’t mean it isn’t a hugely valuable tool when implemented as part of a broader mix of measures. But guess what. While the story was widely reported in the fitness press, I didn’t see one mention of it in national consumer media which is a huge shame as that’s exactly where information like this needs to be if it is to truly make a difference. Another place that information on research like this, and projects like actilife, needs to be is in our GP surgeries and community health hubs. Physical inactivity and low physical activity are among the ten most significant health risk factors in England today. Government data suggests that at present, physical inactivity contributes to almost one in ten premature deaths and costs the NHS more than £450m each year. Fitness trackers aren’t for everyone. They aren’t a silver bullet that can solve our NHS crisis. But, if used with the right support, they are a highly accessible route to help prevent health issues developing, improve activity levels for those most at risk, and ultimately promote community wellbeing. Now wouldn’t that be some welcome news in 2017.